Charles Mingus Jr. (April 22, 1922 – January 5, 1979) was an American jazz musician, composer, bandleader, and civil rights activist. Mingus’s compositions retained the hot and soulful feel of hard bop and drew heavily from black gospel music while sometimes drawing on elements of Third stream, free jazz, and classical music. Yet Mingus avoided categorization, forging his own brand of music that fused tradition with unique and unexplored realms of jazz. The Countrysinger Glen Campbell was born in 1936. 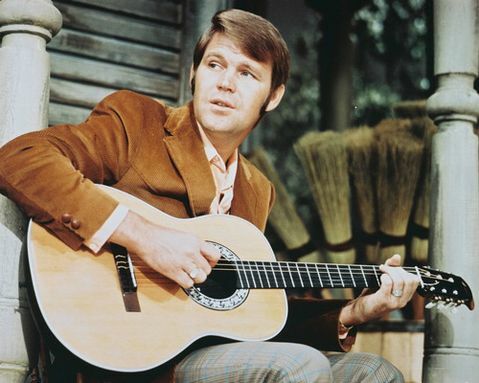 Glen Travis Campbell is an American country music singer, guitarist, television host and occasional actor. He is best known for a series of hits in the 1960s and 1970s, as well as for hosting a variety show called The Glen Campbell Goodtime Hour on CBS television. During his 50 years in show business, Campbell has released more than 70 albums. He has sold 45 million records and racked up 12 RIAA Gold albums, 4 Platinum albums and 1 Double-Platinum album. Of his 74 trips up the country charts, 27 landed in the Top 10. Campbell’s hits include John Hartford’s “Gentle on My Mind”, Jimmy Webb’s “By the Time I Get to Phoenix”, “Wichita Lineman” and “Galveston”, Larry Weiss’s “Rhinestone Cowboy” and Allen Toussaint’s “Southern Nights”. 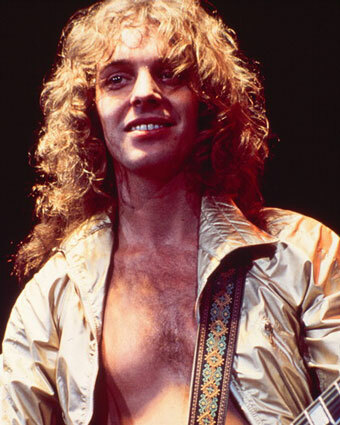 Peter Frampton was born in 1950. Peter Kenneth Frampton is an English born naturalized American musician, singer, songwriter, producer, guitarist and multi-instrumentalist. He was previously associated with the bands Humble Pie and The Herd. Frampton’s international breakthrough album was his live release, Frampton Comes Alive!. The album sold over 6 million copies in the United States alone and spawned several hits. Since then he has released several major albums. He has also worked with David Bowie and both Matt Cameron and Mike McCready from Pearl Jam, among others. Frampton is best known for such hits as “Breaking All The Rules”, “Show Me the Way”, “Baby, I Love Your Way”, “Do You Feel Like We Do”, and “I’m in You”, which remain staples on classic-rock radio. Previous PostThe 20 best songs from Bruce Springsteen’s CD boxset “Tracks” according to JV – part 2Next PostThe 5 best songs Bob Dylan left in the studio – updated..